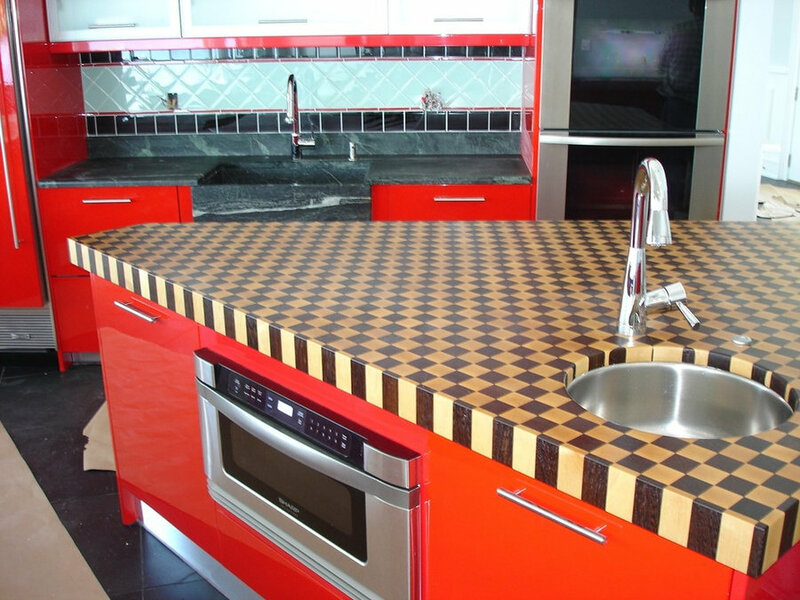 This Kitchen was designed by PDBrown. 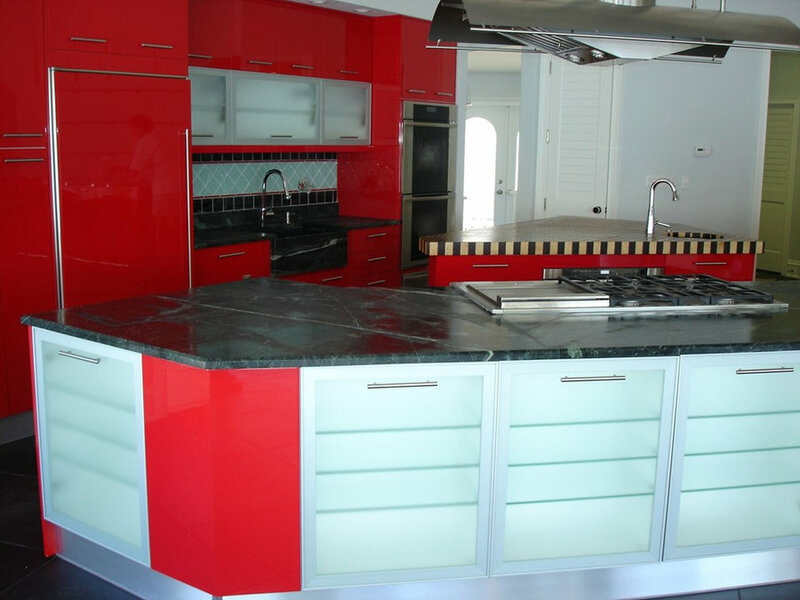 Completed by Cabinet Express, Inc. 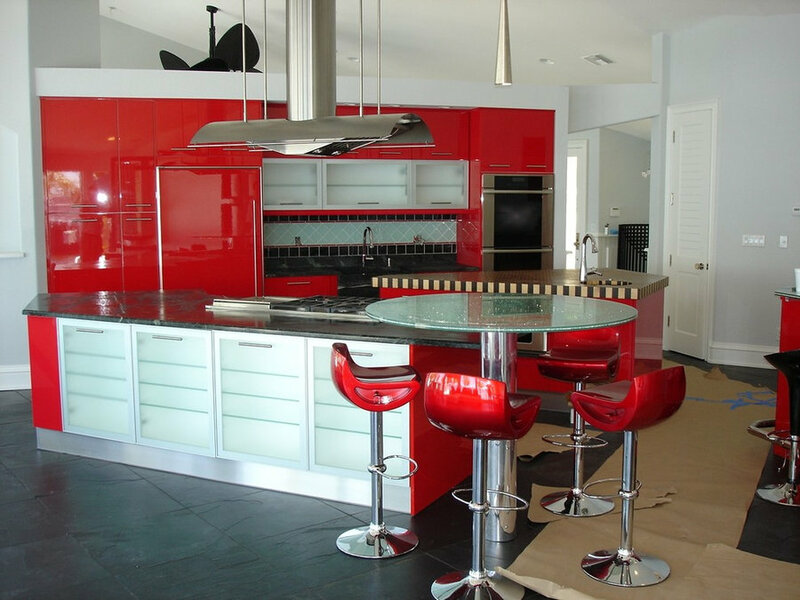 Featuring a red high gloss frameless cabinet. Wenge and hard maple checkerboard island. 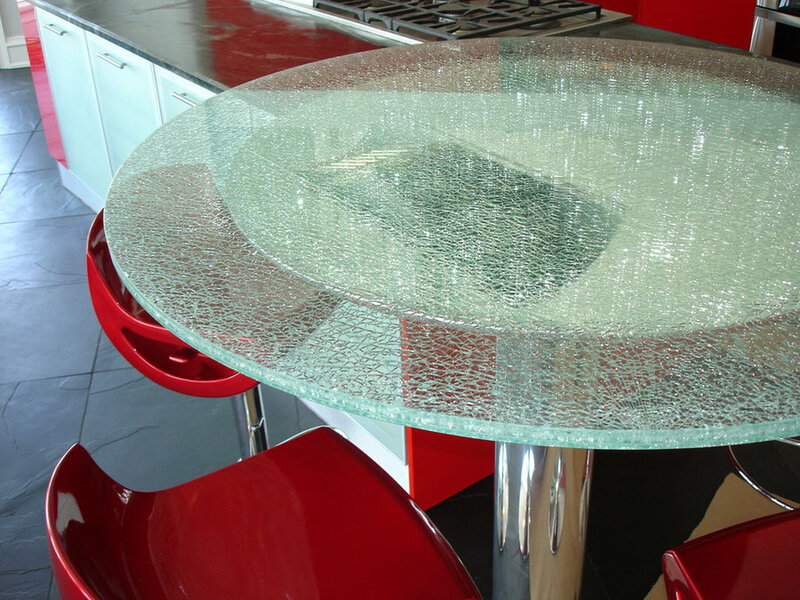 Soapstone counters and a shattered tempered glass sandwiched between two clear panes for the high top table.